Recordings of prepared piano, voice and objects of which most material previously unreleased. 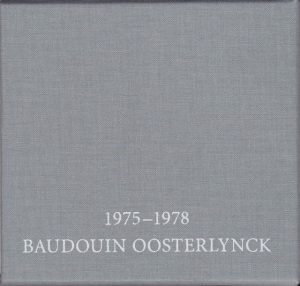 Hardboard linen LP box contains 4 LP’s with separate covers and a 34 page booklet with notes (in Dutch, French and English) and photos from B.O. Signed and numbered edition of 300 copies. Hardboard linen CD box contains 4 digipack CD’s and a 78 page booklet with notes and photos from B.O. Signed and numbered edition of 500 copies.